De comix underground e uma alusão à problemática do autor em BD, aos comix underground na problemática da autoria na BD: se atrás tivemos de relacionar duas entradas em tópicos que apenas marginalmente se ligavam para lhes extrair mais-valia, hoje conseguimos reunir em duas entradas no mesmo tópico argumentos a arrolar à causa. Citamos dos Melhores Americanos 2018, rúbrica entretanto tornada recorrente neste espaço por sobreposição de sensibilidades comuns. An excellent encapsulation of what makes sequential art such a compelling, singular art form. Dessas sensibilidades. NOS POSITIVOS somos i) anti-$$$, pela ii) BD do criador solitário, iii) diy, iv) punx-on-a-mission pelo progresso da humanidade - ie: veggies vs nazis, v) embrulhado-nesta-mas-que-sa-foda-o-artsy-fartsy, e vi) com humor. 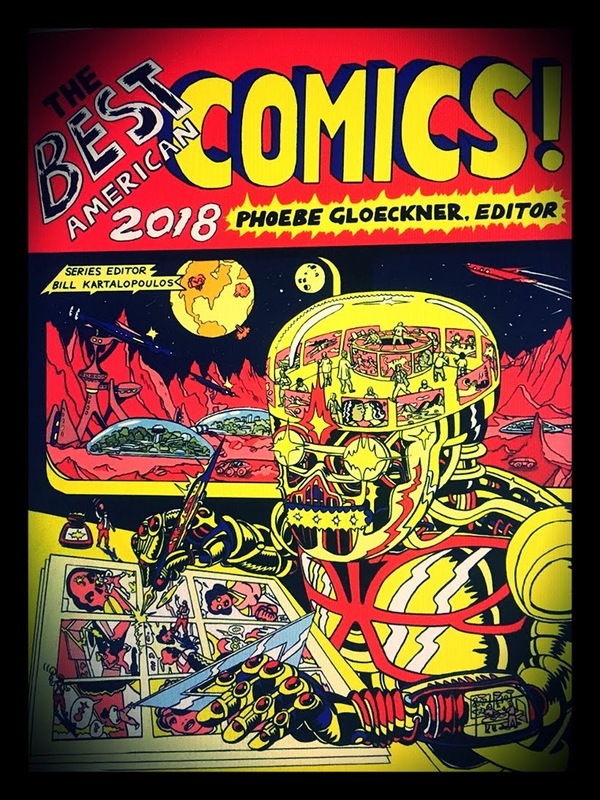 Da Kirkus Reviews ("an American book review magazine founded in 1933") a propósito das escolhas do editor convidado da edição deste ano do The Best American Comics 2018. Many of the works tackle contemporary issues such as gender identity, global terrorism, and class warfare. Others explore timeless concepts like artists struggling against the strictures of art school. The most effective have a sense of humor. The low-to-no budget required to produce comics allows for the indulgence of outsider visions. Sometimes the more refined and impressive the art, the less resonant the stories. These are auteur comics - works birthed from a single creator rather than the ensemble approach (writer, artist, inker, letterer) often seen in commercial comics, not to mention the by-committee production employed in TV and movies. The question of authorship is significant to the interpretation of comics. Most of the comics in this book have been written and drawn entirely by one person. We could call these auteur comics. There are plenty of comics created by teams of artists and writers, tasked with quickly producing books. With such comics, it is often difficult to identify an “author,” or to understand to what degree the end product is truly a creative collaboration. 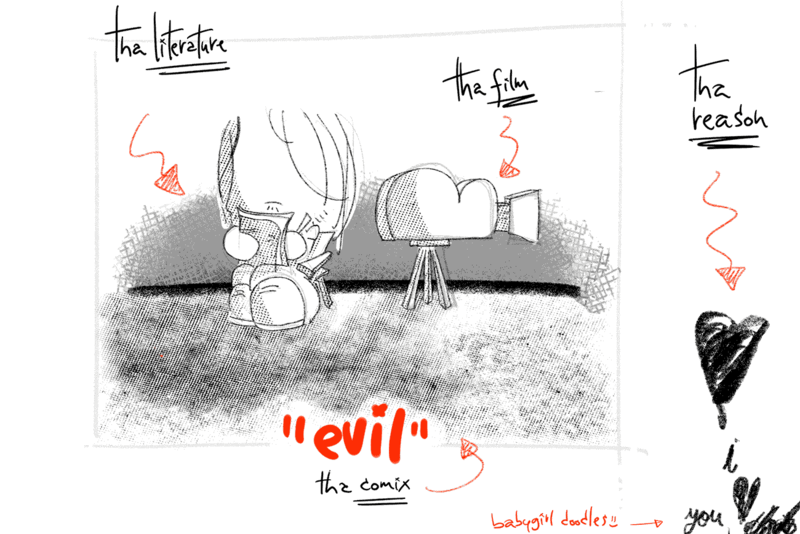 If we think of Comics as a language, the auteur cartoonist must be fluent, whereas with team produced comic books, the writers and visual artists achieve fluency only when working as a group. When we compare the i) medium of comics to ii) literature or iii) film in terms of authorship, we see that while comics are commonly created by a sole author, they are just as likely to be created by a team. However, there are very few novels written collaboratively by multiple authors, and rarely is a feature-length film the work of one individual. What do these observations say about comics?